Throughout our project, we have attempted to find and show the common ground between various strains of internationalism, be they the liberal internationalism of the League of Nations, the imperial internationalism of the Round Table Conferences, or the radical internationalism of the Pan-African Congresses. However, growing ever more conspicuous by its absence has been the Communist International, or Comintern. We took a step towards redressing this on Tuesday 26th March when the Internationalism reading group met to discuss a set of readings around the Comintern and its specific visualisation of internationalism. The Comintern, also known as the ‘Third International’, was established in 1919 with the aspiration to eventually establish a global Soviet republic. Its history, as outlined by Wolikow’s paper, was one of progressive centralisation, with the various national sections of the Comintern gradually becoming subordinate to a central, Moscow-based Executive Committee until its eventual dissolution in 1943, its geopolitics overshadowed by the demands of wartime geostrategy. This arc of centralisation was reflected in shifts in the structure and operation of the Comintern. In the first years of its existence, most Comintern activities were carried out at grand World Congresses in Moscow; Boris Kustodiev’s depiction (above) of the 1920 Second Congress, held jointly in Petrograd (Saint Petersburg), emphasises it as a public and festive event. Harris uses Guy Debord’s notion of ‘concentrated spectacle’ to describe these events. However, after 1925 only two Congresses were held (the Sixth in 1928 and Seventh in 1935), and the Comintern largely operated through its permanent central secretariat in Moscow. If, as Harris argues, totalisation is a characteristic of utopianism, this change in tactics reflects a shift in interpretation from concentrated spectacle to concentrated power. While this would help the Soviet Union in its rapid ascent to superpower status, the Comintern’s sidelining of national autonomy ironically set the stage for its own disappearance in favour of national communist parties. Oleksa Drachewych takes a different approach, arguing that by judging the Comintern in terms of the tension between national autonomy and international control, we miss the transnational aspects of the organisation. Building on a range of recent histories of the Comintern, he argues that it is more productively thought of as the Communist Transnational, a lens that refocuses attention on the people and networks associated with the Comintern whose trajectories crossed national borders. These included the American black activists that Steven Lee writes about, who were attracted by the promise of a version (and vision) of modernism that foregrounded transnationality and ethnic particularism rather than erased them. 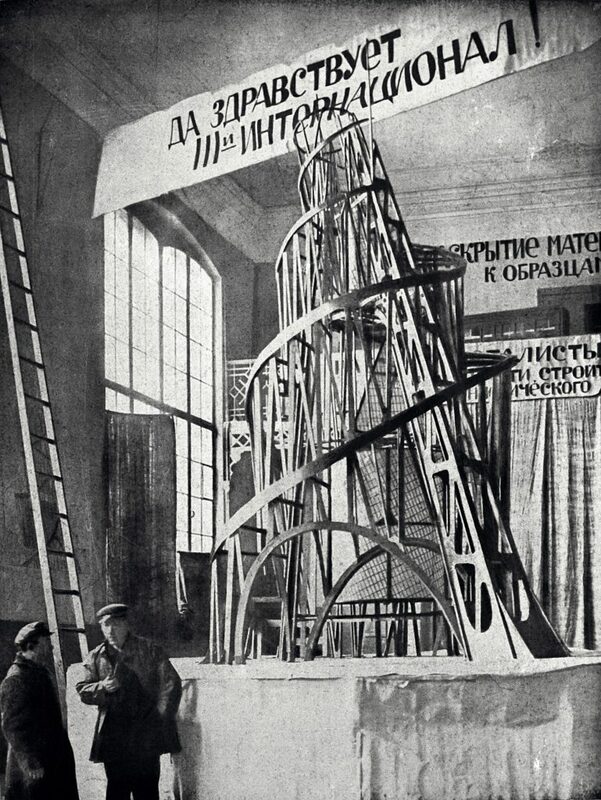 Both Lee and Harris offer extended readings of one of the most striking visions of Comintern modernism: Vladimir Tatlin’s “Monument to the Third International”, a scale model of which was presented at the 2nd World Congress in Petrograd in 1920 (above, with Tatlin and an assistant). The finished tower was to have been 400m tall, pointedly surpassing the (then) 312m-tall Eiffel Tower as both the tallest tower in the world and the foremost symbol of modernity. However, due in part to the astronomical costs involved and in part to doubts about its structural feasibility, it was never built. Indeed, so outlandish is it that it is debatable whether we ought to take it at face value, or treat it as a thought experiment. 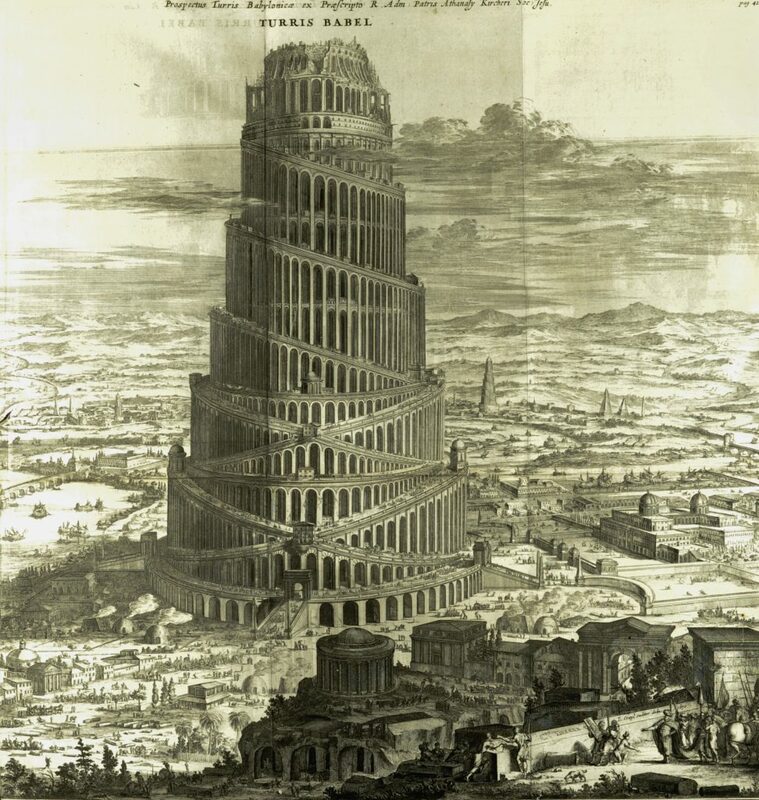 Either way, its unrealised state only served to encourage its accumulation of significance and multiplicity of interpretations: as Harris writes, ‘Never actually built, the tower can never fall’ (p. 82). The tower is certainly a prime example of concentrated spectacle. Lee explores how it paradoxically evoked both a single, universal civilisation, and a diversity of cultures, both premodern and ultramodern in its points of reference. Oriented toward both future and past, Lee argues that Tatlin’s Tower is an example of what Walter Benjamin called Jetztzeit, an image ‘running across “the whole horizon of the past” like “ball lightning”’ (p. 25). 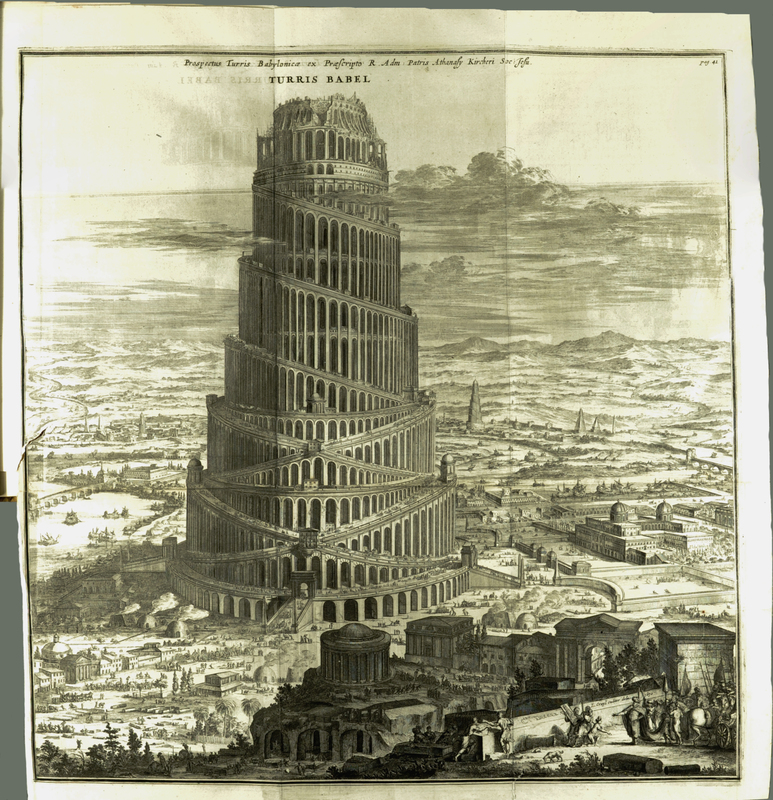 And its apparent evocation of the Tower of Babel (below, and as noted by both Lee and Harris), symbolising the utopian project of joining peoples, was only made more pointed by its failure to be realised. For Lee, the spectacle and multiplicity of Tatlin’s Tower captured something larger too: the thrilling sense of almost magical potential that many felt toward the ideals of the Comintern. He uses the Jamaican-American poet Claude McKay’s description of his 1922 journey to Moscow as a ‘magic pilgrimage’ (p. 1) to emphasise its allure, particularly to non-white and minority peoples whose culture had been systematically excluded from a Western version of modernism that cast the South and East as inferior and primitive. In this reading, the key emancipatory potential of the Comintern was its vision of a new ideology of space that both promised a future beyond the nation-state, and opened its doors to all. 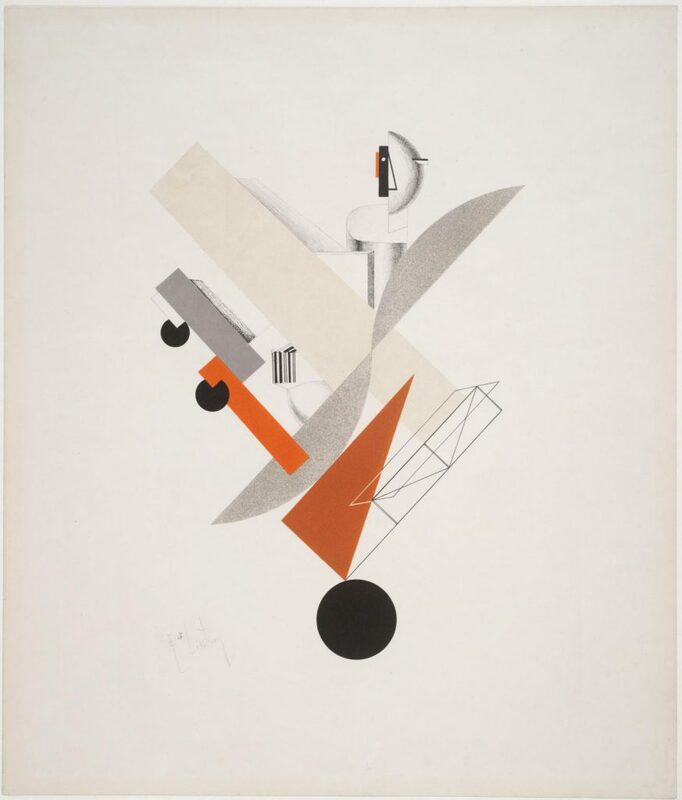 This idea of the conquest of space was combined with the Jetztzeit-like conquest of time in El Lissitsky’s 1923 lithograph Globetrotter (in Time), in which a semi-abstract figure pilots an aeroplane through multiple globes, representing different ages of man. Just like the tower, Lee’s prose spirals around its subjects, consistently bringing unfamiliar references into contact. Productively jarring, like Drachewych’s knowingly anachronistic ‘communist transnational’ it constitutes a provocation to think differently. In the context of the reading group, having belatedly circled around to dealing with the Comintern it is difficult to escape the feeling of still being in motion.